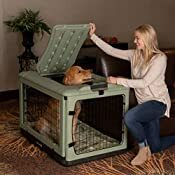 The other door steel crate from pet gear features heavy duty blow-mold plastic with steel inserts. Rounded corners and no sharp edges eliminate damage to your home or car. Four doors offer accessibility from any angle and the top door can hold up to 100 pound. T he garage-style side door stays up and out of the way when open. Integrated wheels and pull handle allow for easy movement from room to room. 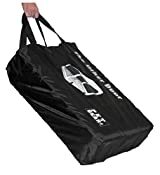 Fleece pad and carry/storage bag are included. 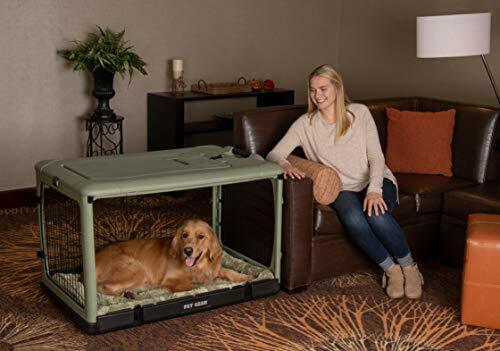 Ideal for pets up to 90-pound.